Digital Tablet Data Recovery | iPad, iPad Air, iPad, mini, Samsung Galaxy, Lenovo, Google Nexus, Amazon Fire, Microsoft Surface, ASUS ZenPad and all other manufactures. 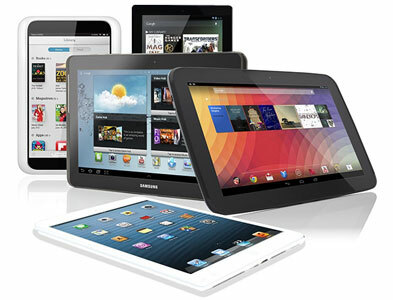 Affordable Digital Tablet Recovery – All For One Flat Fee. Protech Data Recovery offers a ONE RATE fee; $385 for any Digital Tablet recovery service. And if we can’t recover your data for any reason, there’s no charge. No BS! We Offer the Best Affordable Choice for Digital Tablet Recovery Services in the industry. Digital Tablets are becoming more and more liked in people’s daily life, because it is simple to use and most importantly it is in fact very captivating. We can use it to listen to music, take photos, videos to capture the phenomenal moments and record the details of life, or keep important emails, documents, etc., with you on the go. Mistakenly deleted important documents on your Digital Tablet? Photos and music disappeared after Digital Tablet jailbreak or iOS update? Digital Tablet has suffered water damage or a drop? Don’t Panic. You’ve come to the right place. We will get back Digital Tablet lost music, photos, contacts, messages and more! Protech Data Recovery is one of the leading Digital Tablet recovery companies in the US today. We offer expert Digital Tablet recovery services for individuals, businesses alike. We use advanced proprietary data recovery technology and techniques to recover inaccessible data from nearly all types of Digital Tablets, in any data loss situation. No matter what caused your Digital Tablet; iPad, Samsung Galaxy, Google Nexus, Amazon Fire, Microsoft Surface, ASUS ZenPad, DigiLand, Insignia, Lenovo, nabi Dream tablet to fail, we have the required skills, experience and specialized tools to successfully recover your lost documents, music, photos, videos, contacts, messages and other important information. From accidental formatting or deletion, to water and fire damage, our Digital Tablet data recovery specialists can retrieve damaged, inaccessible, lost documents, music, photos, videos, contacts, messages and other important information. So if your Digital Tablet cannot power on, boot to the desktop, don’t panic. Most likely, your documents, music, photos, videos, contacts, messages and other important information can be recovered even when the memory is physically full or damaged due to an accidental format, accidental deletion or even water damage. Our highly trained Digital Tablet data recovery team has 10+ years of hands on experience in dealing with many device failures issues. We will provide you with the best possible assistance. Get FREE Data Recovery Diagnosis for your digital tablet now! Providing customers with the fast, secure, confidential, reliable, and most affordable digital tablet data recovery services. Call us 24/7 (877) 967-3548.